We were thrilled when Jay Bolotin dropped by the studio with his guitar the morning after his packed concert at Northside Tavern November 13th to talk with Elaine Diehl about his music career, artwork, and new cd release. During their conversation, Jay talked about writing songs in his 20's, meeting Carl Solway in New York during the 1970s, and working on films. His show at Northside Tavern was his first in three years, and he was delighted that photographer Michael Wilson + family were in the house that night. And at the end of their discussion, Jay also talked about Aralee Strange who was his best friend for 40 years. His artwork is on the cover of the new Aralee book, The Road Itself. At the end of the interview, he brought out his guitar (a 1936 Gibson) and performed one of the songs from the new album, "The Picture and the Frame." Delmore Recording Society came to Cincinnati for a rare performance of Jay Bolotin & his cd release party on 11/9 at Northside Tavern. 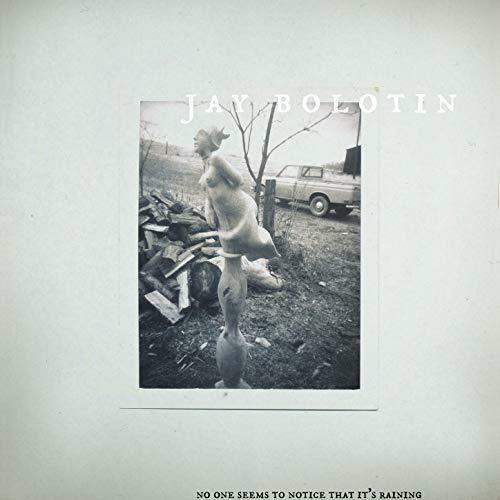 The release is Jay Bolotin's "No One Seems To Notice That It's Raining (Previously Unreleased Recordings 1970-75)". 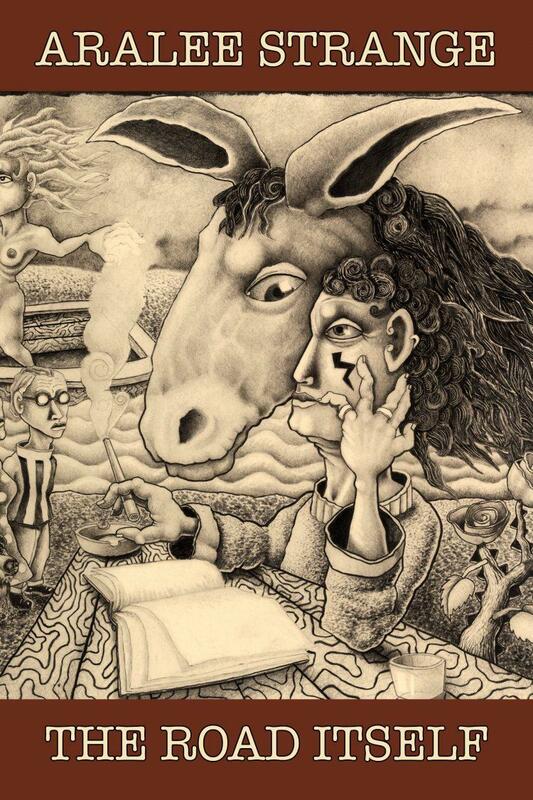 From the concert evening's Facebook page: "Kentucky native Jay Bolotin is a renaissance artist, equally at home crafting music and stories as he is creating otherworldly creatures carved from woodblocks, who are then masterfully animated into being. To step inside his world is to forget what was and what is. Described as sounding like Leonard Cohen crossed with John Jacob Niles recording Blood On The Tracks, Bolotin's music of this era was championed by Kris Kristofferson, Mickey Newbury, Merle Haggaṛd, and Norbert Putnam. His songs have been recorded by David Allan Coe, Dan Fogelberg, and Porter Wagoner, and his art lives in renowned museums worldwide." Word of Mouth Cincinnati will present an evening, November 27th at 7pm at the Woodward Theater, in honor of the publication of the late Aralee Strange's book of poetry, The Road Itself (Dos Madres Press), with readings from her poems by Pauletta Hansel, Matt Hart, Jim Palmarini, Stacy Sims, Mark Flanigan, Steven Paul Lansky, Ali Edwards, Richard Hague, Michael Henson, Heidi Joffe, John While widely published in literary journals during her lifetime, The Road Itself marks the first overview of the late Aralee Strange’s poetic works. It is a tour de force that moves from the urban blight of 1980’s Cincinnati Main Street to the pastoral solitude of Adams County, OH to the Southern charms of Athens, GA while remaining forever rooted in the heart of America, exploring in equal measure the implied complexity of its inherent beauty and tragic flaws. Her unmistakable, even voice simultaneously pitched between Old Testament scripture and The Street, these tough, restless poems aspire to and attain a clarity of language and personal spirituality. 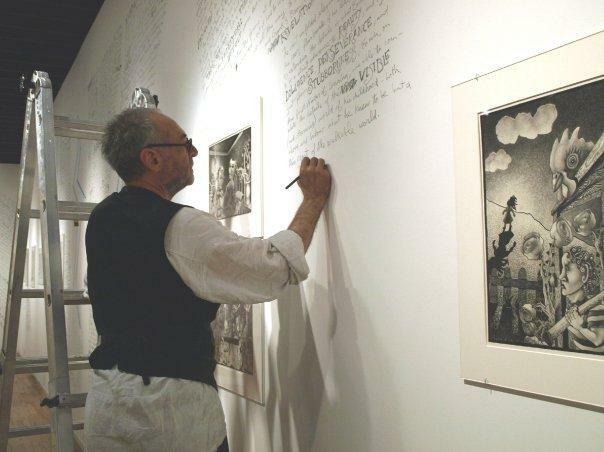 The Road Itself also includes art by Jay Bolotin, Frederick C. Ellenberger, Kathy Prescott, Michelle Red Elk, Art Rosenbaum, Mary Seguin and Jim Wainscott, each piece inspired by Strange’s life and work. Edited and with an afterword by Mark Flanigan, and with a foreword by Pauletta Hansel, the poems in The Road Itself seek truth in all of its hiding places, much like its author. Publication of The Road Itself was made possible in part by state tax dollars allocated by the Ohio Legislature to the Ohio Arts Council (OAC), a state agency that funds and supports quality arts experiences to strengthen Ohio communities culturally, educationally, and economically. Aralee Strange, a poet and playwright, was born on December 5, 1943, in Macon, Georgia, from where at a young age she moved to Birmingham, Alabama. After living and working in Atlanta, Georgia, Cambridge, Massachusetts, and New York City, New York, Aralee then settled for more than twenty years in Cincinnati, Ohio. In March 2007, she moved to Athens, Georgia, and lived there until her passing on June 15, 2013. Strange’s body of work includes Etta Stone: A Film for Radio (1990), which she wrote, produced and edited at WGUC in Cincinnati and which was aired nationally on National Public Radio stations; dr. pain on main (1991), a play based on her series of poems by the same name, commissioned and produced by Cincinnati Playhouse in the Park; The Chronicles of Plague (1992), a play commissioned and produced by Ensemble Theatre of Cincinnati; An Evening at the Sad Cafe (1995), directed scenes from her screenplay This Train, performed at Ensemble Theatre of Cincinnati and at the Carnegie Arts Center, Covington, Kentucky; and This Train (1996-2001), a feature film she wrote, directed and edited. Word of Mouth Cincinnati, which began in January 2014, is co-hosted by fellow writers Jim Palmarini and Mark Flanigan. It was founded in memory of the late Aralee Strange who, after many years living, writing and producing work in the Cincinnati area, moved to Athens, Georgia where she co-founded Athens Word of Mouth. WoMC is an intentional arc of both past and future utterance, inspired by our most revered voice, with a nod to her Athens, GA compatriots. Word of Mouth asks poets to Show Up, Mouth Off and Pay Attention." Although some content may contain adult themes and language, admission to Word of Mouth Cincinnati is free and open to all ages (those under 18 admitted only with guardian supervision). The Woodward Theater is located at 1404 Main Street, across the street from MOTR Pub. Ralph La Charity pays tribute to a fellow poet in "Farewellia a la Aralee"
Local poet Ralph La Charity joins our Barbara Gray to talk about his newest collection, Farewellia a la Aralee, which pays tribute to the late poet Aralee Strange. Many of us who experienced the 60's music scene are familiar with the songs of singer/songwriter & folksinger Tom Rush. We're delighted that he's still writing and recording as evidenced in his new cd, "Voices." He spoke with Elaine Diehl by phone from his home in Maine, on Wednesday, November 7th, about his tour stop at the 20th Century Theater on Thursday, November 15th. On tour with him is the exciting young musician Matt Nakoa. During their conversation, Rush talks about his new cd, PledgeMusic, Matt Nakoa, his guitar collection, and the reasons he no longer tours with a band. Acclaimed singer-songwriter John Hiatt is coming to the Taft Theatre on November 13 for a concert of classic hits and songs from his new CD, The Eclipse Sessions.